Thanks to Zorzalo Woods for the photo. Recently, the past October 2014 there has been some good news in regards to stopping the hydro projects for the Futaleufu River in Chile. Here is a link to the waterkeeper announcement : In short the hydro projects are now temporarily on hold. 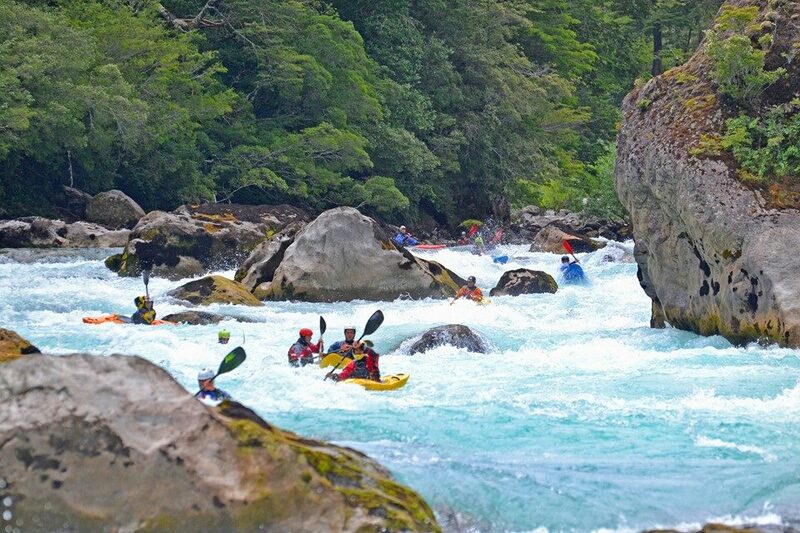 While this is a small victory as Endesa ( the international power company still owns the water rights) , kayakers throughout Chile are nonetheless happy that for now the Futaleufu is safe from destruction. While technically this maybe a small temporary victory , psychologically, it represents a big win. Endesa and others can be stopped from destroying these rivers. It maybe be a long difficult road but it is possible. Although many organizations and people have fought to keep the Futaleufu from hydropower, recently Futaleufu Riverkeeper has been taking a very active role www.futaleufuriverkeeper.org . Futaleufu Riverkeeper has a high powered Board of directors and offers some real hope in protecting Futaleufu river. Riverkeepers as an organizational structure have an interesting history dating back to protecting the Hudson River valley in New York state in which they have been very successful. Note: Futaleufu river keeper is working alongside other conservation organizations for the protection of other rivers in Chile as well and to try to change the over all mentality toward hydropower and mining.